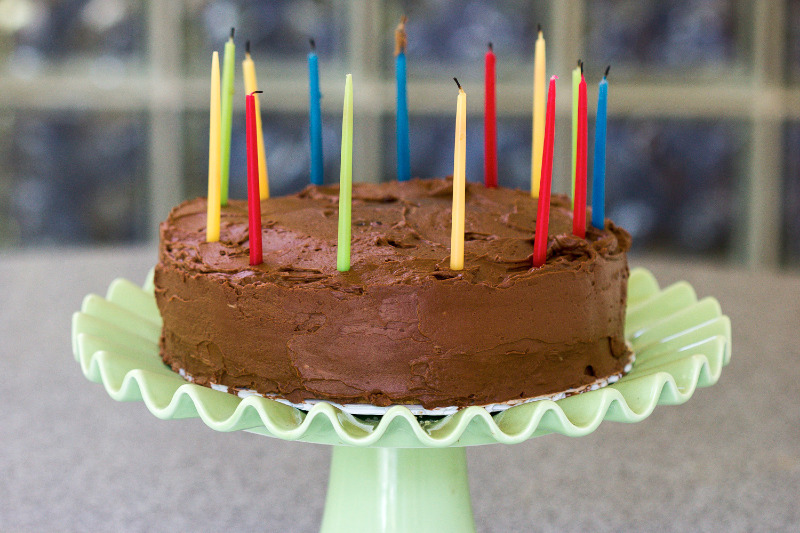 In celebration of my husband's birthday, I threw a dinner party for the family, complete with birthday cake. Deciding what to bake was a bit overwhelming given the endless choices. 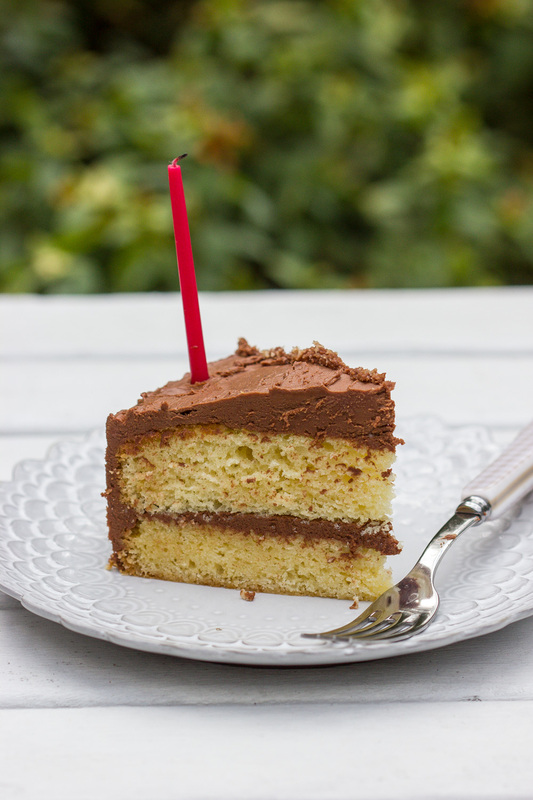 After much deliberation, I decided to go simple but festive with this buttery two layer yellow cake, filled and frosted with the most luxurious chocolate sour cream frosting ever. Simply scrumptious. Happy Birthday Richard! Preheat oven to 325F. Butter a 9 inch cake pan. Cut a 9 inch round of parchment paper, place it in the bottom of the pan, then butter the paper. 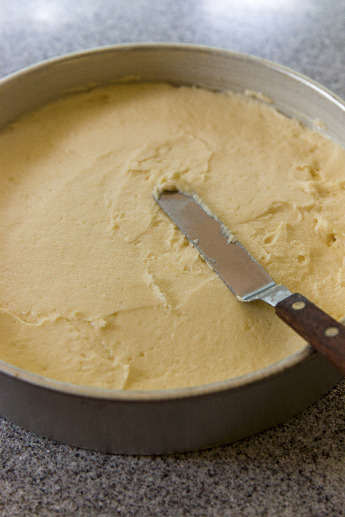 Flour the cake pan, shaking out the excess, then chill it in the fridge to set the coating while you make the batter. In a bowl, sift together the flour, baking powder, and baking soda. Sift 2 more times, then add salt. Cream the butter and sugar in a mixer fitted with the paddle on medium high speed until it is pale, light, and fluffy, about 4 minutes. It's important that they are creamed together very well. Add one of the whole eggs while continuing to beat on medium speed. Turn the mixer to medium high and beat for 30 seconds. Return to medium and add the second whole egg. Add the second whole egg and repeat. Scrape down the bowl and paddle. Beat the batter on medium high for 15 seconds. Add the yolks on medium speed, then beat on medium high for 20 seconds. The batter should be shiny and glossy. Scrape down the bowl and paddle. Using a rubber spatula, fold the dry ingredients in 4 additions alternately with the vanilla buttermilk in 3 additions, beginning and ending with the dry. Work quickly and gently to fold everything together. Scrape the batter into the prepared pan, smoothing the top with a rubber spatula. Bake for 1 hour and 10 minutes, rotating the pan halfway through the bake time. 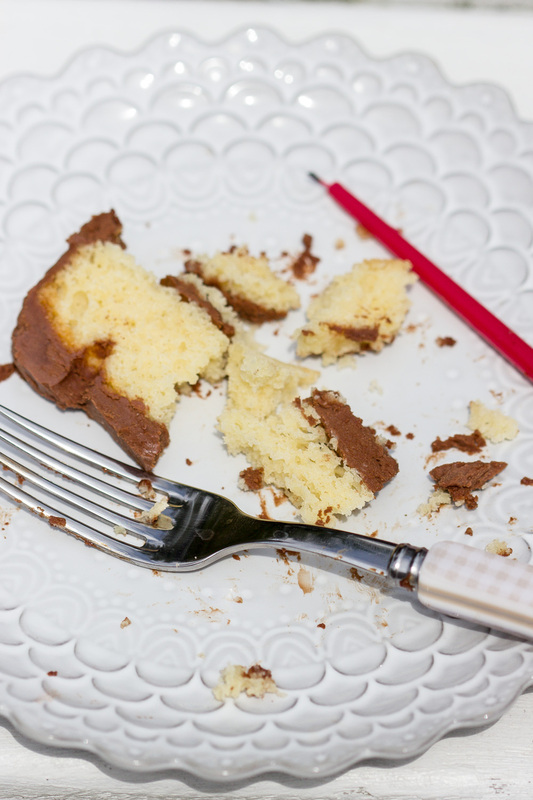 The top of the cake should be golden brown, domed, and a skewer inserted should come out dry. Cool on a rack for 10 minutes before unmolding. Allow to cool completely before splitting, filling and frosting. It's very important that your butter, buttermilk, and eggs are at room temperature. Cream the butter and sugar together very well. The sugar should almost dissolve into the butter. Place both chocolates in a heatproof bowl over a saucepan of simmering water. The bottom of the bowl shouldn't touch the water. Melt the chocolate, remove it from the heat, and set aside to cool to room temperature. 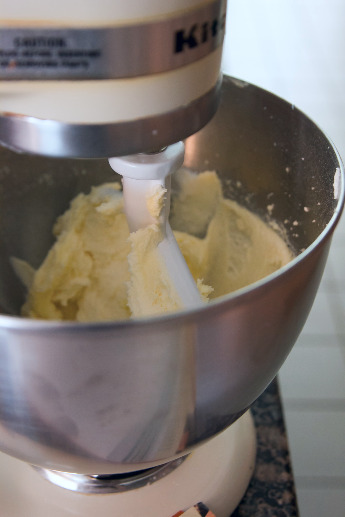 Put the butter and powdered sugar in the bowl of an electric mixer fitted with the paddle. Cream on medium high for 5 minutes, scraping down the sides of the bowl as needed. Turn the mixer down to medium low and add the room temperature sour cream. Scrape the bowl and paddle again and add the cooled melted chocolate, vanilla, and salt. Beat for 1 minute on medium high. Do not refrigerate this frosting before serving. Let it sit out at room temp covered with plastic wrap.